Added the below entry and images to the Trombone History Timeline, 17th century (first half). The instrument most clearly resembles a trombone, although the left-hand grip and the fact that the rear bow doesn’t extend behind the head is obviously not right. 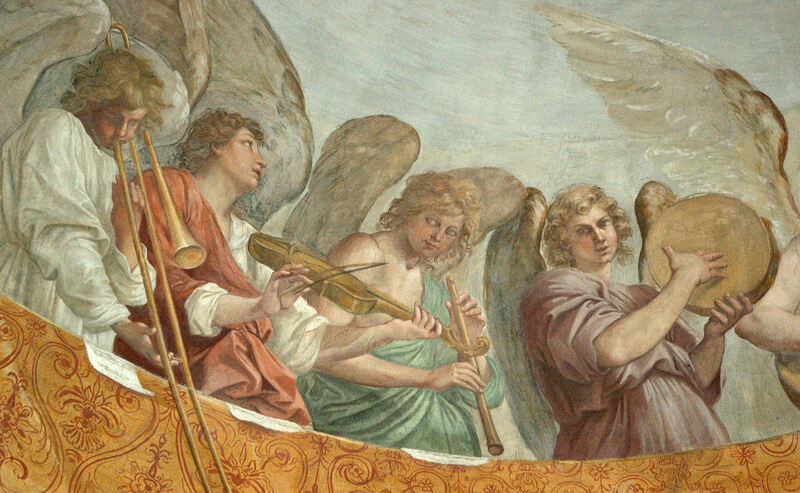 It looks like the artist had a tendency to paint the trombone/trumpet this way (see also 1623). At any rate, it’s a beautiful painting. 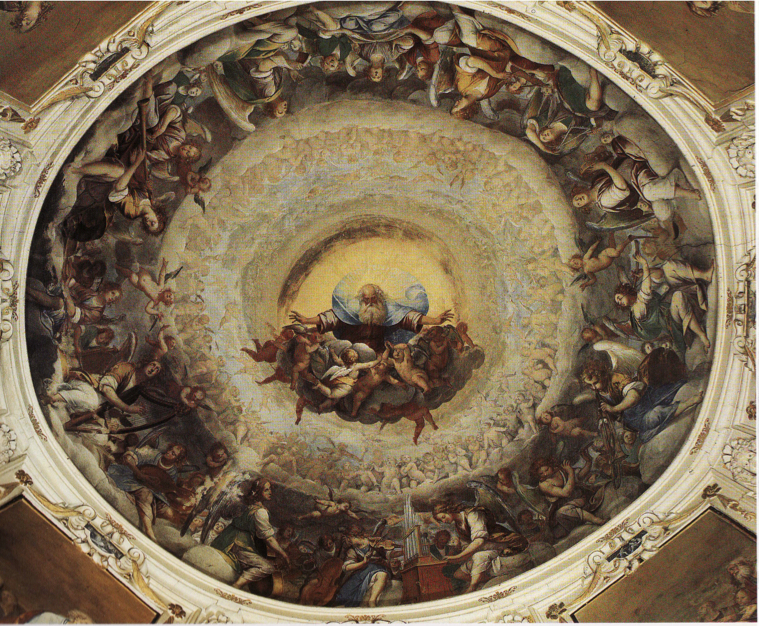 c. 1645—Campione d’Italia, Italy: Isidoro Bianchi paints Gloria d’angeli, a fresco in the sanctuary of S. Maria dei Ghirli. 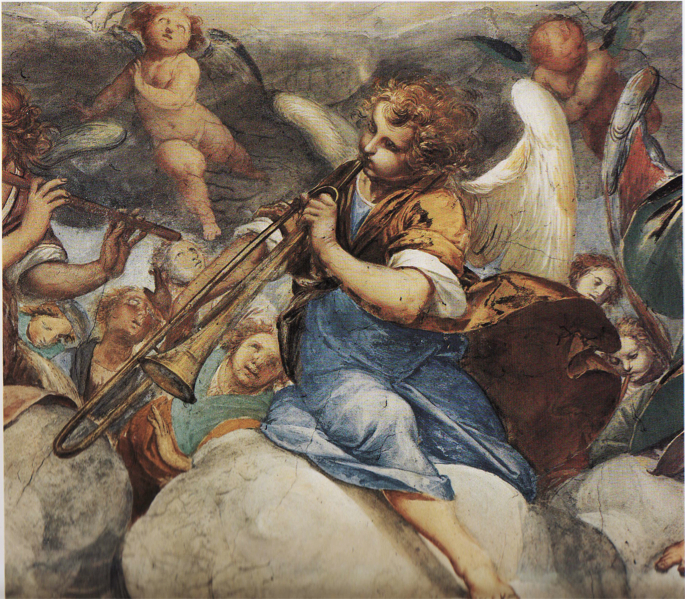 The painting includes an angel playing what may be an awkwardly-rendered trombone, with a slide clearly visible but without the rear bow of the instrument extending behind the head (see detail and full image below) (Angelis 43). For a similar rendering by the same artist, see 1623.